The July 2012 issue of MMM (Motorcaravan Motorhome Monthly) magazine – Britain’s best-selling motorhome magazine - is now on sale. 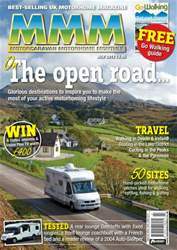 This issue is packed with inspiring ideas for those motorhoming in the UK and further afield. Our motorhome travel writers take readers on an activity-filled trip to the north Wales coast, head off on great family-friendly cycle rides in the Peak District and mess about on the water in the Lake District. They also head off for an epic tour of New Zealand’s South Island and enjoy the history and hiking in Ireland. This month, we also reveal some fantastic motorhome campsites, including the perfect site for a great north Devon coastal walk and where's perfect for staying if you enjoy walking, cycling, golfing and fishing. 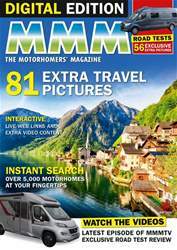 The tested section has news from IH and Horizons Leisure Vehicles, as well as a live-in test of the Tribute T-715 - a new budget French bed low profile. 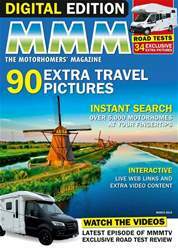 In addition, an unusual German overcab with a rear lounge from Dethleffs goes under the testers' microscope, and a reader describes living with a 2004 Auto-Sleeper Trident. 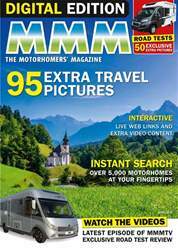 There is also plenty of buying advice in this issue, including a selection of great-value used tag-axle coachbuilts, expert advice on buying and running an older motorhome and where to get some top deals on new and pre-loved motorhomes across the UK. 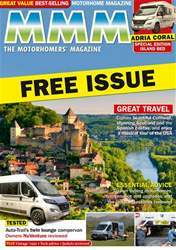 And, as you would expect from MMM, there are pages of practical advice to keep your motorhomes in tip-top condition.